Informed Consent is not, in my opinion, meant to create controversy, but to encourage one to think about how and why one's beliefs formed, why we hold them so dear, and to consider the possibility that we're not necessarily all correct, nor are we all necessarily wrong. What do our beliefs mean for humanity and which of them are right? 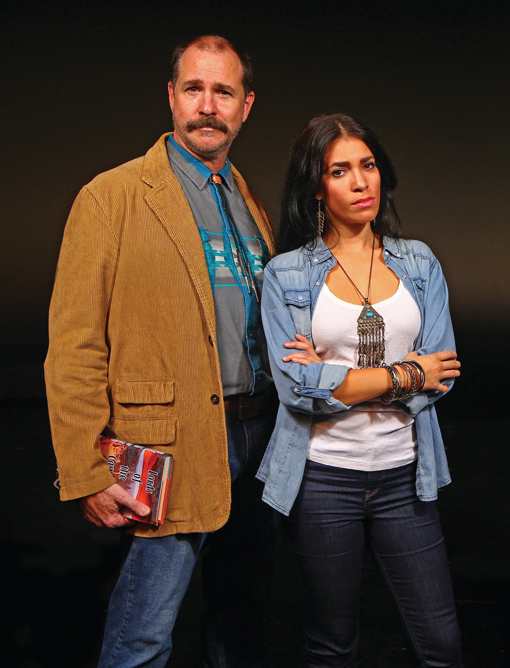 Inspired by a real-life story of a Native American tribe and a genetic anthropologist, Informed Consent asks some difficult questions. I, for one, like it like that. At the same time, I enjoyed the healthy dose of humor throughout the play. Horizon Theatre has once again brought to Atlanta performing arts enthusiasts a play, and magnificent performance, that entertains, as well as is incredibly thought-provoking. 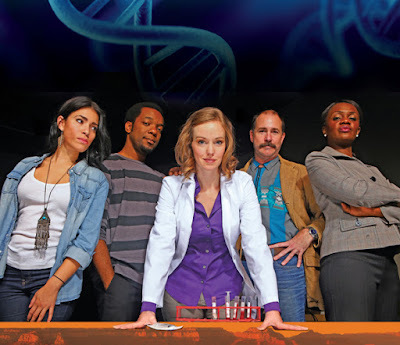 "Jillian, an ambitious geneticist, is racing against her own genetic clock to solve scientific mysteries that will save both a Native American tribe and her own 4-year-old daughter. She jumps at the chance to do ground-breaking research to find out why an ancient tribe in the Grand Canyon is being devastated by diabetes. But as Jillian uncovers the truth about the tribe’s origin, her research threatens to destroy their most sacred traditions. At the same time, she and her husband face off with a monster lurking in Jillian’s own DNA—and possibly her daughter’s. With today’s science moving at breakneck speed, how much knowledge is too much?" I've shared before that my grandmother and great grandmother were born on a Cherokee reservation in North Carolina. I know I don't look Indian and that LOTS of people claim to have Indian blood, but I do. I just look like the English-Irish side of my biological father's family. My point is that while I fully relate to scientific exploration for medical advancement, I totally get the incredibly strong desire to preserve a relatively untouched Indian (Native American) culture—a culture in America's West in the case of this play. The battle on stage is one that I live with daily. I side with science, but loath that the Cherokee, and other Native American cultures, are practically extinct. Don't even get me started on the genocide that took place in our country's early history. That's a discussion for another forum, but that's what this play brings to the table...it's a segue to conversations about medical advancement possibilities, as well as the importance of preservation of cultures. I totally understand that reviews of plays are—hopefully—a composition of words and phrases to entice or discourage. I don't consider what I write to be reviews, but a sharing of a personal experience. I'm not critiquing performances. I'm sharing with my readers what I found to be interesting, educational and entertaining. This play, for me, exited my tendency to question! Not to question others in an attempt to convince them to join my point of view or to dissuade others to not side with an alternate line of thought, but just to share my own personal revelations, challenges, and experiences...and sometimes I use questioning as an avenue to enlightenment or greater understanding. Seeing more and more theatre all the time, of which I've been a fan since I was a youngster, I love that I'm seeing actors in multiple performances across Atlanta. When I saw that Neal Ghant, who performs Graham, Jillian's husband, was in the play I knew that it would be spectacular. I'd seen Neal not too long ago in the 20th Anniversary performance of Blues for an Alabama Sky at Alliance Theatre. Having loved that play when I'd seen it debut at Woodruff Arts Center 20 years ago, starring Phylicia Rashad, I had to see the anniversary show...and did...twice! 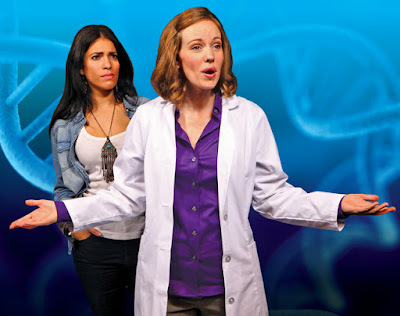 Other actors in the all-star Atlanta cast of Informed Consent, which I'd see three times, include Bethany Anne Lind as the central role of scientist Jillian, Diany Rodriguez as Native American leader Arella, Carey Curtis Smith as professor Ken and Tonia Jackson as several important women in Jillian’s life. I had the awesome pleasure of seeing Informed Consent on Opening Night, which was followed by a reception at the home of a generous and hospitable local couple, regular supporters of Horizon Theatre. They were delightful hosts and the entire cast from the play was in attendance, socializing with everyone who had just seen the performance. I very much enjoyed discussing Indian culture with Diany Rodriguez, as well as meeting and talking with the other actors. I didn't know about the Opening Night Reception until the pre-show announcements...what an awesome surprise! The final lines of the play felt like a compromise to me personally, but I imagine that much of the rest of the audience was put a little at comfort—a happy ending of sorts. Again, it challenged me to consider if I'm open to other ideas or stubbornly set in my ways. This is a good conundrum. I've observed the human condition all of my life. I've observed different cultures all of my life, including one observation (read: experience) that was the straw that broke the camels back and why I moved thousands of miles away the summer before my senior year in high school. But that's another story, too. Quite, little shy me had learned to question authority....a decision that change my life's path for the better! That's to say that I felt at peace with the heavy-hitting questions this play presents. 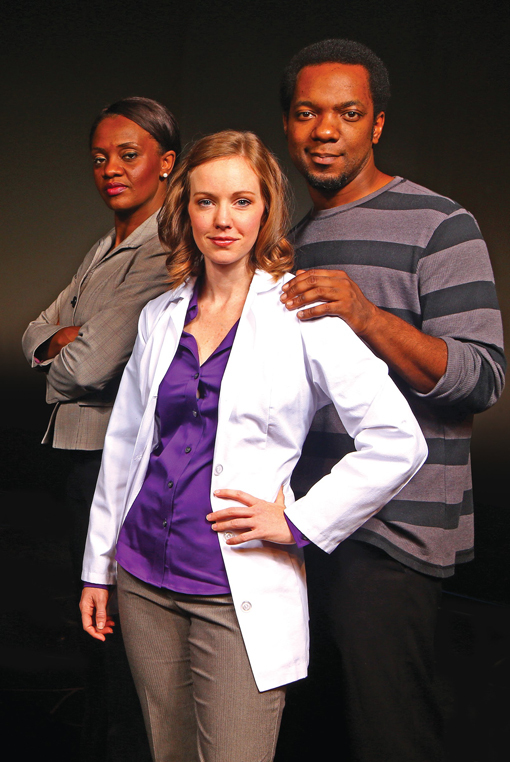 Informed Consent is in its final weeks at Horizon Theatre, on stage through Sunday, November 8, 2015. This was one of the more cerebral, yet entertaining, performances I've seen in Atlanta in the more than five years since I moved back. I highly recommend seeing this superb performance. Vanya and Sonia and Masha and Spike...and more! One Man Star Wars is One Great Time!